Ask Vicki: How do you find the job that fits you best? In this answer on Quora, Monster career expert Vicki Salemi explains how knowing yourself can help your job search. 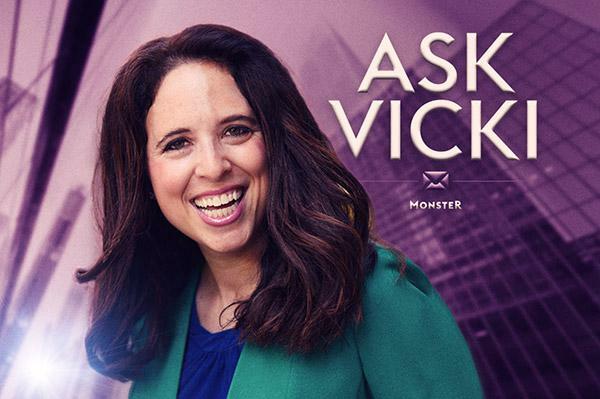 Each week, Monster’s career expert Vicki Salemi—a former recruiter who utilizes 15-plus years of experience in recruiting and human resources to empower job seekers—answers user questions on Quora. We’ll be republishing the answers here. If you have a question for Vicki, send it to socialmedia@monster.com. Q. How do you find the job that fits you best? A. In order to find the job that suits you best, you’ll need to do some soul searching. Put away your phone, turn off all distractions, and sit down with a notebook. Start asking yourself some questions, and take notes on your answers. What do you love to do? For example, do you avoid numbers, or do you love crunching them? Do you prefer to work alone, or with people—or a mix of both? Like to write, or loathe it? Figure out what kinds of tasks bring you satisfaction. Also, ask your former bosses, colleagues, and especially a mentor for input. What do they think are your biggest strengths and weaknesses in the workplace? When did you seem happiest at work? Often, these people can provide you with valuable observations that you yourself may have overlooked. Gather all of the information, and spend some time looking it over. You’ll be able to see some common threads emerge. Match your interests with the careers best suited to them. If you discover that you really enjoy building relationships with people, consider a career in human resources, sales, or public relations. If you learn you’re most satisfied when you’re helping people, a career in social work, nursing, or teaching might be more up your alley. Realize you may not have all of the answers right now—and that your interests may change over time. It can take years on your path to develop strong passions (as well as aversions), so do the best you can with what you have at any given moment. Keep in mind, a job may suit you just fine, but the boss or company culture may not. Pursuing opportunities and then accepting job offers involves an ongoing process of exploration. Ultimately, you want to find your ideal role at a company that brings out the best in you. Read Vicki Salemi's answer to "How do you find the job that fits you best?" on Quora.